But stupidity is always subjected to market conditions. And the very lovely Malhar Barai volunteered as the guest host helping us navigate through the intricacies of subject at hand. Net Neutrality means an internet where all websites are allowed equal speed, bandwidth to operate with. So called democracy of internet. Achieving net neutrality calls for investment in infrastructure and technology by a country. So far in spirit no country has implemented net neutrality completely, Ecuador is the only nation which has come closest. Free Basics is the re-branded version of Facebook’s internet.org which claims helping internet reach to developing and underdeveloped nations such as rural India, Africa. Free Basics will mean websites and organisations with muscle and clout and money will be pushed up. It will see the death of blogs as we know them today. Free Basics also means content in all forms will be channelised by Facebook so often ruling governments can ensure information (misinformation) of kinds they wish to communicate gets through. Free Basics reaches to people who are most subjected to disturbances of all kinds such as many African nations. Content and user usage will be completely observed and recorded by Facebook. Start-ups as we know it today will need to add an extra investment in the form of pushing their websites to so called ‘free basics’. Competition from smaller players to likes of Flipkart, Snapdeal will almost be negated. Hence this post is being issued in public interest. Do not click on the Facebook’s option of sending a message to Trai. Do not additionally invite people to do so if you have already done it. As a damage control, suggest to put out a message to discourage other friends into following suit. In case you have a doubt, will leave you with a few more things to ponder. Facebook is a profitable organisation. It cannot build something where the model is for free. If you do not understand something clearly always think of the economics of things. Free Basics, in my opinion, is like Blood diamonds. Blood and money will both be shed. Rest assured. Facebook is no google, if it is given power it will play. All sorts of power games. This is governed by a man who decided to market the birth of his first born. Content can be peace and war. Content can be biased and unbiased. But providing of content should be neither. They say flutter of a butterfly can cause a storm somewhere. Your click can cause one very near to you. You can scroll down and find the storified version of the chat for further info and opinion. Kudos to you for yesterday’s session. It was pretty late here and that’s why I couldn’t engage and read through but I will look forward to the detailed version. I am glad you are spreading awareness about this important topic. Thank you! I missed the #blogchatter session yesterday as I was on vacation. Just got back home. I had not heard about this at all. Will certainly look into it. Thanks for the heads up. 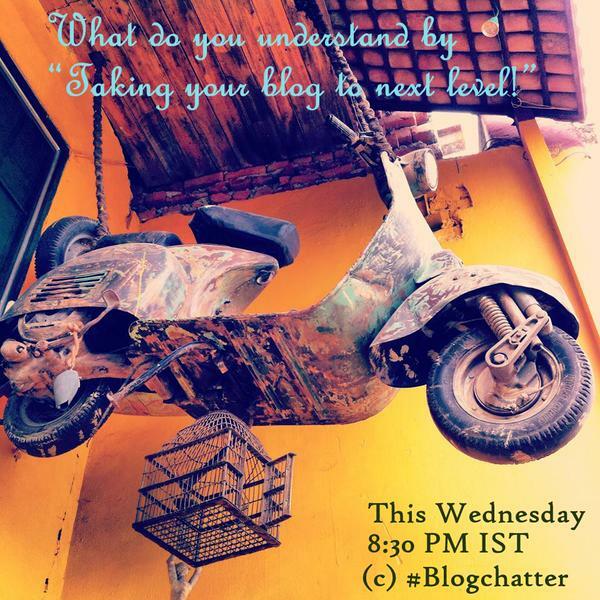 I sincerely hope you do Shanaya it is almost critical for us to be aware on subject..
Good insight into Free Basics, both here and at the @blogchatter session yesterday. Thumbs up to your active initiative in educating people about the issue. Thanks Richa. I tried to join in for the blogchatter discussions but I am not able to make time for it. I mean to be present online for 30 minutes or so at that time is impossible for me. I end up missing it. Interesting and informative discussion, Richa. Provides a great insight to the trending topic. Trending and much needed topic for discussion Meera.. Happy Richa. Thanks for explaining Free Basics so well and now, I get the drift. As lovers of freedom and blogs, being inherent part of media, it will signal the deathknell. Totally agree with your take on net neutrality and all the hoopla!